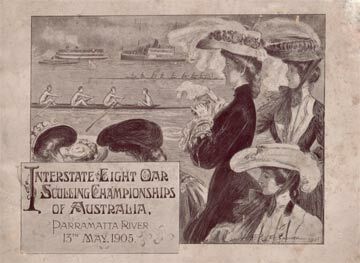 The eights race was a great battle between Tasmania and Victoria. These crews led the rest of the field by a length after only 1/4 mile. Victoria moved through to take the lead but Tasmania fought throughout the race. 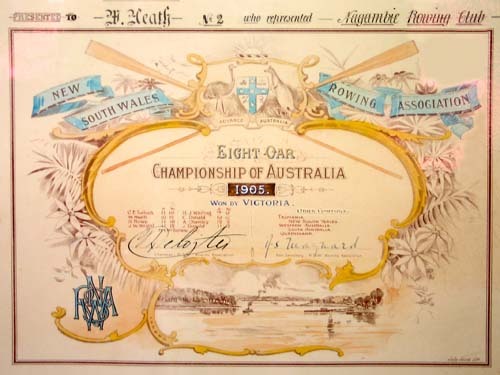 It is noted that the sculling race was conducted from Abbotsford to Ryde and the eights race the other way. In the sculling race, Edwards started but retired early in the race. 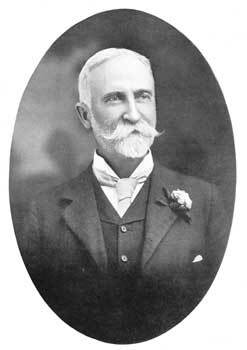 Bourke led from the start.